Professional SEO Service can leverage your website or can rip your wallet. 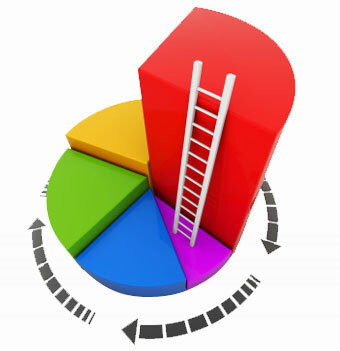 It is not chance but various factors revolves for selecting Professional SEO Service. So here is a very detailed guide to help you to decide whether you will opt for a Professional SEO Service or only use Self SEO. A Professional SEO Service can cost $100 to few thousand dollars per month. You need to calculate your net profit now and predict the probability of net profit for the next 3 months, at least. If you can not do these yourself, take professional help or ask a friend who knows about business or have a master’s degree on management. Second point about selecting Professional SEO Service is, how is the package. If it is of long term – months after months, which is suitable for forums and blogs as the contents grow everyday, then your calculation must be more perfect. There are one time Professional SEO Service packages too. They are good for small business websites. Medium to bigger business websites must follow the trend of blogs with a side blog, Wiki etc. Third point about selecting Professional SEO Service is – how reputed the service is. The website of a good Professional SEO Service must look professional, hosted on a good server (do a reverse WHOIS) and must have a business license. If the Professional SEO Service has no business license, simply bargain and make the monthly fee to less than $ 50 per month or less. The reason is obvious – its illegal to run a business without proper license. You will have no ground to file a law suit for ripping your wallet. Because the person unlikely to be found. Forth point about selecting a Professional SEO Service is, first talk with the owner of their business website. If the person chats / emails flexibly, it will give you more advantages to plan combined. Fifth point for selecting a Professional SEO Service is – past and present history of clients. I am not a Lawyer, so I can not precisely say about the legal points. The gross thing is, as you are paying for a service, you do have some basic consumer rights. Always get a proper agreement, Terms of Service from Professional SEO Service. It is always better to consult an Advocate. If you are from India, you can ask me for suggestions about selecting Advocates. In other words, make sure that your money has been used properly. If you know basics of SEO, no Professional SEO Service actually can do more than you. The advantages of using a Professional SEO Service is, they have a professional liability to keep your traffic and earnings steady, you need not to work and think about boring and time taking works like back-linking. Furthermore, most Professional SEO Service have the experience from trial and error. Plus they have networks to get forum links, blog links etc. which normally can not get. Do not give your Professional SEO Service by any means the control of Adwords. It should be controlled only by you or a person who is your first degree relative. This is for the reason, the Professional SEO Service will unintentionally use the same target keywords for another website. Second is, never ever go to the point of frank quarrel just because you are not satisfied. Talk with other webmasters and your lawyer first. If you go to those childish quarrel with any Professional SEO Service to cancel their job, they can simply delete some important backlinks or at worst make the arrangement to make your domain a spammy domain. If you can not afford your Professional SEO Service for funding reason, simply explain them politely. As a conclusion, if you ever use or using a Professional SEO Service, try to work collaboratively. Continue your way of backlinking or SEO plus keep a coordinated relationship. Within few weeks no Professional SEO Service can boost your traffic to few million pageviews per day unless using pathetic blackhat. Rather, check the number of backlinks recognized by Google and Alexa. Cite this article as: Abhishek Ghosh, "Professional SEO Service : When to Use and What are the Precautions," in The Customize Windows, September 1, 2012, April 18, 2019, https://thecustomizewindows.com/2012/09/professional-seo-service-when-to-use-and-what-are-the-precautions/.